32 Sonos tips, tricks and features | What Hi-Fi? One of the key aspects of Sonos' success story is undoubtedly the simplicity. But despite being so simple to set-up and to use, there are plenty of features tucked away. So if you've just unboxed your first Sonos product or simply want some inspiration for getting the most out of your existing set-up, here are some Sonos tips and tricks you may not have tried. Not sure what we're talking about? Learn all about Sonos in our complete Sonos buying guide. You no longer need to connect a Sonos product to your router to get started. So, if you're confident your wireless network is up to it, and you don't live in a palatial mansion, you can put that first Sonos speaker wherever you want without worrying about running a wire back to your router. If you own more than one Sonos One, Play:1, Play:3 or Play:5, then you can turn two speakers in to a stereo pair. Set them up in the app as a pair and they will act as true, left and right, stereo speakers. Got a Play:3 or Play:5? They can be positioned horizontally or vertically and the sound will be adjusted accordingly, giving you a bit more flexibility if space is at a premium. Want to get the functionality of Sonos on your existing hi-fi system. Choose a Sonos Connect to connect to an amplifier, or the Connect:Amp to connect directly to a pair of speakers. Hey presto, Sonos functionality on your hi-fi system. The white light on the front of any Sonos speaker or component is handy for letting you know you're connected but should you want a more stealth appearance once you're up and running - you might not want a bright white light on a Play:1 in your bedroom - head in to Settings in the Sonos app where you can toggle off the Status Indicator light. Sonos' Mission Statement is to play 'all the music on Earth', so you'll find a whole host of streaming services at your disposal. Scroll to Settings, select My Services, then hit 'Add another account' to see the services at your disposal. You will need a premium subscription on services such as Spotify and Tidal in order to hear them on Sonos. The most popular streaming services are increasingly well-integrated on Sonos. One neat trick is the ability to add tracks you listen to on Sonos to your Spotify (or other music service) playlists, which will then be ready for you in your Spotify app. Right-click on the track on the desktop app to add it to a Spotify playlist, or long-press to call-up this option within the mobile app. Similarly, the Soundcloud integration on Sonos allows you to add to your Soundcloud 'Likes' from inside the Sonos app. Hit the heart symbol and the track will appear in your Soundcloud likes when you access the Soundcloud app or website. Are some of your favourite tracks missing on one service but available on another? Create a Sonos playlist to have tracks from different music services - Soundcloud, Spotify, Tidal, for example - all in the same place for a seamless listening experience. Want to know what you listen to and how often? Sign-up to Last.fm online, add your login details within the Sonos app, and you can 'scrobble' every track you play on Sonos - meaning Last.fm will show you statistics for your Sonos listening habits (you can use it on Spotify and other services, too). Google Play Music can stream music directly from the Play Music app to any Sonos speaker. As long as you're on the same wireless network - and on Android - you can stream over WiFi what you're listening to on your phone to a Sonos speaker, without even opening the Sonos app. Similarly, you can send music straight from the Spotify or Tidal app to a Sonos speaker. The Sonos app will of course catch up and update to the track you're playing accordingly. It's not all about streaming services. Add your 7digital account details to the Sonos app and you can play all the music stored in your 7digital locker on Sonos. Buy new music on 7digital? It will be added straight away and available to stream. Got a Beam, Playbar or Playbase? Then don't forget you can send your TV sound to other Sonos speakers in your house. So you don't have to miss the football commentary when you're in your bedroom, and you can take advantage of any music channels on your TV set-up. If you've put new music on your phone or tablet and want to play it on your Sonos speakers the minute you step through the door, you can. Scroll down to 'This Mobile Device' on the Sonos app and you will see all your locally-stored music. Use an iPhone? You can stream your purchased iTunes music, as above, but you can also stream directly from the Apple Podcasts app directly to your Sonos system, bringing a whole world of podcasts to Sonos. Use the 'Sleep' function to set your Sonos speaker to turn itself off after a set amount of time. Ideal if you want 30 minutes of the radio or anything else to drop-off to. And you can set the 'Alarm' function on the Sonos app to wake up to your favourite music or internet radio station at a given time. The 'Mute' button isn't just a 'Mute' button. Press it once to play/pause your tracks, press it twice to skip to the next track or press and hold to mute just a single speaker. The touch sensitive buttons, first introduced on the 2nd-gen Play:5, don't just do play/pause and volume. Slide from left to right to skip forward a track or right to left to skip back. 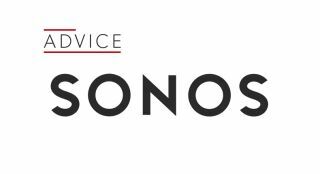 Ask Sonos and the company will tell you the best upgrade you can do is completely free. Use Sonos' Trueplay room calibration to fine-tune your Sonos speakers to your room. It's available on the Sonos app but only on iOS - so you'll need an Apple device to give it a whirl. If you're using a Sonos Connect then you can take advantage of the digital output and add a dedicated external DAC to take care of the crucial digital-to-analogue conversion. Arcam's SonLink is built especially for that purpose, or you could choose from any number of compact DACs to upgrade your sound. Streaming services don't have to mean low-quality compressed music any more. CD-quality, lossless streaming services are now available, and now available on Sonos - namely, Deezer Elite, Qobuz and Tidal. Sadly the hi-res audio streams of Tidal Masters are not yet available on Sonos. Connect a Playbar or Playbase to a pair of Play:1 or Play:3 speakers and a Sub for a Sonos 5.1 surround sound effect. It's an expensive way to get some surround sound action but if you're committed to the Sonos family it's one way to enhance your TV experience, especially with films. All of Sonos’ speakers have a 'Loudness' feature that’s enabled by default. In some cases it’s sensible to turn it off, but not in the case of the Sonos Beam. It acts like an old-fashioned bass-boost function and, while that tends to be something we avoid, on the Beam it's more sophisticated and results in a weightier, fuller, more engaging sound. The One and the Beam support Amazon Alexa voice control, bringing the ability to voice your music requests (provided you're using a compatible music service, such as Amazon Music and Spotify). You can then command this music all around your system, bringing a sort of voice control to legacy Sonos products. The addition of Alexa on the Beam means you can also use it to turn your TV on and off, thanks to the HDMI connectivity. If you want to avoid Sonos playing Amazon Music rather than Spotify, you can set Spotify as your default music provider. Head to the Alexa app and choose Settings > Music & Media. You can switch between Amazon Music and Spotify here. If you want to take the voice control further on the Sonos Beam, you can add a Fire TV or Fire TV Stick. Once connected, you can issue commands such as, “Watch Stranger Things” and the show will start playing. Again, this is only with compatible streaming services, such as Netflix. Some of Sonos’ speakers are now compatible with Apple’s AirPlay 2 streaming standard. As well as bringing the latest AirPlay functionality for those who prefer it, it also adds the option of creating a mix-and-match multi-room system containing Sonos speakers and those from other manufacturers. Want your Sonos speakers to look more like hi-fi speakers? You could always try a pair of stands. We quite like the look of these Flexson stands. Suffering with skips or delays? It might be your network. The Sonos Boost is designed especially to combat this and should provide a more vigorous network connection for smooth streaming. Want to know more about wireless music systems? Take a look at our multi-room audio buying guide, where we look at rival systems including the award-winning Bluesound music system and systems from Bose, LG, and Samsung. Have you got your own Sonos tips to share? Let us know in the comments section below.